You often hear people telling you that strong soft skills are a must to work in the corporate world. This has almost become a usual chorus. But yes, the importance of soft skills in corporate world has, added benefits to your work skills. How Does Soft Skills Help you in your Corporate Job? You may have useful ideas to present to your team or board members. But what if you don’t have the presentation skills? Furthermore, mere technical skills are not adequate to choose between conflicting ideas in your team project. At this point and also to communicate better with your co-workers you need soft skills. Your collaborative and leadership skills will make sure that your team is on the same page. Moreover, it will also motivate them to perform better. Likewise, your critical skills will help to narrow down a wide topical discussion. Interestingly, another buzz word you hear very often is, “communication skills”. This is another important aspect in development soft skills. By default you should know how to clearly explain in a given language, what is in your mind. Undoubtedly, to communicate in English. This elicits the importance of soft skills in corporate world. These soft skills are unfortunately not taught in your college academia. There is nothing to be worried about this. You have eminent professional institutes that give exclusive soft skill training. 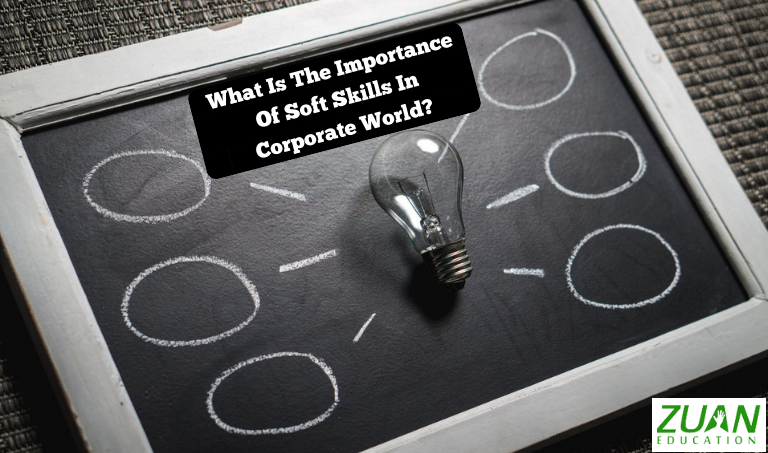 Importance of Soft Skills in Corporate World and What are They? If you miss out getting trained in soft skills you will not fair well in a job. Very few companies train you in soft skills. So it is better to learn a short term course in soft skills. What is the Meaning of Soft Skills? Soft skills are non-technical skills. Furthermore, hard skills or technical skills can be vividly worked out or demonstrated. Moreover, they are based on the professional academic skills that you gained from college. On the other hand, soft skills are the nurturing of your innate personal development. These skills come from within. They are some special characters you develop to communicate better in order to finish a task in a fine-tuned way. In other words, soft skills complement your technical skills. What soft skills should you focus on to perform better in the corporate world? You should be able to clearly express the who, what, when, where, why and how of a project in your company. You should be able to adapt to changing business surroundings. Moreover, you should be able to manage multiple tasks. You should be able to pick up evolving technologies and put them to use. Furthermore, you should be able to demonstrate relevancy of work to the demands of the task. Significantly, you should have a cool and level head. You should be able to identify who can solve a particular problem and how they will do it. Moreover, you should be able to use creativity, reasoning, past experience, information, and available resources to resolve issues. Importantly, these skills will be helpful to retain clients and make a strong footing in the business world. Importance of soft skills in corporate world includes the much needed, critical thinking skills. What are they any way? Gain soft skills from a private professional institute getting a certificate to add credit to your resume.